I was so excited when Rachelle emailed and asked me to participate in this incredible giveaway. Many of you may remember when I hosted a giveaway for The Original Scrapbox over the summer. They have such awesome products for anyone who is into scrapbooking, card marking, sewing, or if you're an organization freak like me. 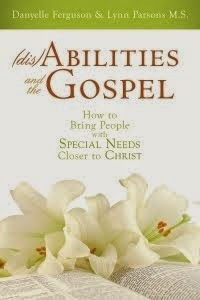 But this give away is different - and so much better! This time, you have the opportunity to not only have fun entering a contest, but also to give back to two charitable organizations. The Original Scrapbox is hosting the 12 Blogs of Christmas - of which, I am one of those blogs. From Dec. 4th - 11th, all of my readers have the opportunity to enter to win an EZ View Desktop. You can also visit the other 11 blogs to enter in their drawings as well. Each blog is giving away a desktop. Isn't that awesome? The drawing for the EZ View Desktop will take place on December 12th. But here's where it gets even more awesome - The Original Scrapbox is counting how many clicks (hits in web lingo) their website gets from Dec. 4th - 11th. When they reach 12,000 hits, The Original Scrapbox company will give one EZ View Craft Desk to The Friends of Utah County Children's Justice Center. The Children's Justice Center is a homelike facility which serves children and families who are experiencing the crisis and chaos that comes with the disclosure of severe physical or sexual abuse of a child. While there, each child receives a doll or teddy bear, then have the opportunity to color and make crafts while at the center. The children will be able to use the EZ View Desk to access their supplies. It will make a wonderful addition to The Children's Justice Center! Wait! There's even MORE! 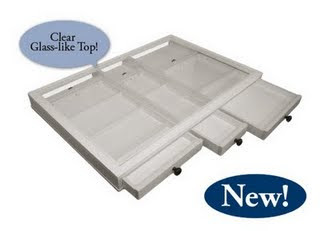 The Original Scrapbox is also going to give away one more EZ View Desk when they reach 25,000 hits on their website. This time, the charity will be chosen from a list of charity nominated by this contest's participants. That means you get to help by nominating a charity of your choice to be placed on the list! 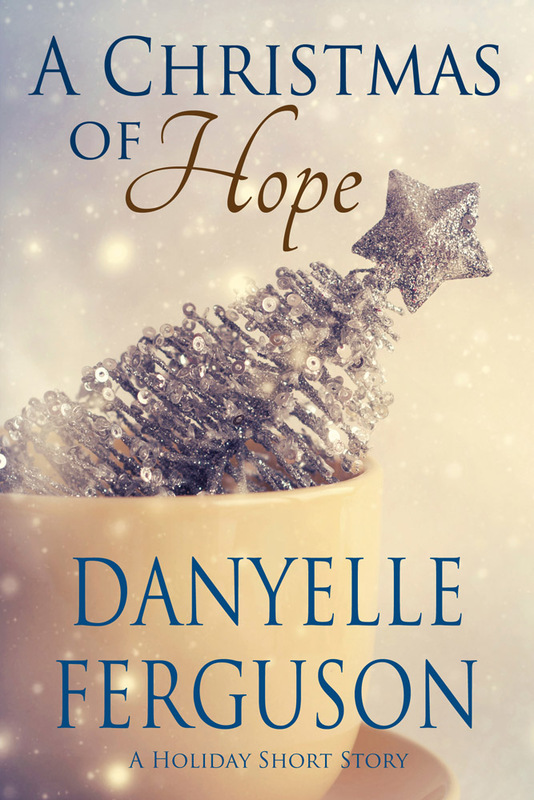 To nominate a charity, send an email to RachelleWrites@gmail.com Rachelle is the co-ordinator for The 12 Blogs of Christmas. In your email, include the name of your charitable organization, a description of what they do, and the name & contact information for the person at the charity who deals with donations. Be sure to tell Rachelle why these products would benefit your charity. Don't you think the EZ View Desk is gorgeous? Well, take a deep breath, because there will also be a Grand Prize Drawing from all the 12 Blogs of Christmas EZ View Desktop winners. 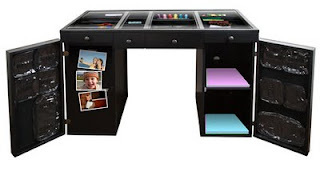 One lucky person will win an EZ View Craft Desk on December 14, 2009. As my kids would say, that's the most awesomest thing ever! You may earn 1 entry each for doing the following Please make a separate comment for each entry. Make sure your contact info is easily accessible so I can contact you if you win: No purchase necessary to enter. Entries that do not follow all of the entry requirements will not be considered. *Note: This contest is open to residents of USA,Canada, UK, and EU countries. You must visit The Original Scrapbox website to be eligible for this contest. Choose your favorite product. Leave a comment here and tell me what your favorite is and how you would use this product. Become a Facebook fan of The Original Scrapbox here. Facebook the contest and share the link back to this post. Tweet about this contest with a link to this post and use the hashtag #scrapbox in your tweet. Become a Queen of the Clan follower. Remember, there are 12 blogs to enter with a special way to help The Original Scrapbox give back! Get as many entries as you can by telling your friends about this contest and stay tuned to my blog for more incredible giveaways! Good luck! Contest ends December 11, 2009 at 11:59pm. Oh, what a fun website! I really like the big workbox, but I would be thrilled to have the minibox. I would put it down in my office and get all my scrapbooking and stamping products put away neatly. That way when I actually get to work on a project I don't have to look for 30 minutes to find what I need. But, since that is so expensive, I would also be thrilled to get the Ribbon box. I have probably close to 60 spools of ribbon. That would be a great way to keep it organized and tangle free! I became a facebook fan of The Original Scrapbox. I facebooked the contest and left a link to this post. I joined Twitter just for this and left a tweet about this contest. I'm just not sure what the hashtag is. Can you give me directions if I didn't do it correctly? I am already a Queen of the Clan follower. I am already signed up for your newsletter. My fave is definitely the EZ View Craft desk. Love it, to be able to see all my toys. Definite fan of The Original Scrapbox on Facebook. Just became a follower of you. My favorite item is the The Workbox : Black Beadboard! Fan of Scrapbox on Facebook! I visited the site. I like the black beadboard minibox. I am a fan of Original Scrapbox on FB. ID is Sandra Hammer. It is hard to choose what product I like best. Having anything to organize my stuff would be a huge improvement. I think I like the mini-workbox best. It looks like a table. I could even put my sewing machine on top. OMGoodness - that desk is soooo fantastic. I looked around the site, and I would love The Workbox: Black Raised Panel! Fun contest! Best of luck to everyone! The CraftBox : Vanilla Raised Panel is my favorite, but all the CraftBox designs are fantastic. The ribbon box would be so handy! I could have my most-used ribbons organized on my desk ready to go at all times. And I've subscribed to your blog! I love the big workbox! I bet I would spend weeks first off just playing at getting it organized! And then just sit and look at it!!! The Workbox in vanilla beadboard is a beautiful/smart way to store and utilize craft items. I'm organizationally challenged and moving to Arizona in December. I could really make good use of the workbox as I unpack supplies for my new craft room! I'm getting soooo jazzed! I happily joined Original Scrap Box and posted a link on my facebook since I want others to see the great ideas and I want to win the EZ View Desk!!! I am a Facebook fan of The Original Scrapbox. I like the Workbox in Knotty Alder. It would be a great sewing station OR art station for me. I LOVE all the products by ScrapBox, but I have to say I was stunned by The Workbox!! Imagine having a nook and cranny and several drawers to store all of your supplies in!!! I have a tiny craft room, so I would just love to be able to organize everything in one fell swoop like you can with the Workbox! I really like the mini box. It's a great way to organize all that "stuff." And I'm now a follower! I have visited the website and am amazed at the creativity offered to the creative crafters--I would love to adopt a big box but would find anything on the site useful. I can just see all my sewing goodies stashed away. Places for buttons, beads, scissors, pins and needles--and a whole lot more! I love the Workbox. It holds ALL my papercrafting supplies and there's plenty of room for more! !m Would love to add the black EZ view desktop and desk next to it. The mini-workbox and I'd use it to help get my studio organized. I love the workbox in vanilla beadboard. I would use this by organizing all of my supplies and actually be able to use them because they aren't packed away!! I visited The Original Scrapbox. My favorite is the work box. I am getting my own craft room after the first of the year and it would help me get organized. I am and have been a facebook fan of The Original Scrapbox. It's awesome! What an amazing system. I have never seen this before. I love the mini box. I would use it to organize scrapbooking and craft supplies. Thanks for entering me in your awesome giveaway! Following you on Twitter and tweeted a link to the give away. Now I'm signed up for Danyelle's email newsletters. Thanks for the opportunity to learn and do more. Can you even imagine having such a great item to help organize your scrapbooking things. WOW, I love their products. I like the Mini WorkBox in Vanilla Beadbooard. Please stop by and follow me. I am publicly following your blog. What a great giveaway! I visited the site and my dream item is the white EZ view craft desk. I have a great scrap room but am using a cheap wooden-topped table from target. Its great for stamping but I would love a desk with storage in it so everything would be handy. Thanks for the chance at winning! I love the mini box! I would love to win this. I think I like this product the most because it’s so much simpler than the others. The others look overwhelming. I’m a fan of the Scrapbox on FB. oooh. If I won the lottery I would love the Work box! To have all of my fabric, supplies and projects in one easy area would be wonderful! I might even get more done! I blogged about the giveaway AND linked to all 12 blogs and the Original Scrapbox website. I would love, love, and love the Workbox in Knotty Alder. It would take all my scraps, buttons and assorted quilting bits and clear up my ever-so-messy craft room. Thanks so much for this amazing opportunity. I'm a fan on facebook of the Original Scrapbox! 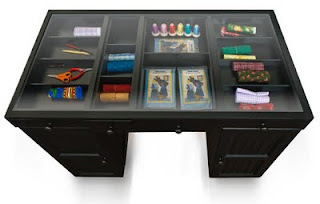 Visited their site, my favorite is the black EZ View craft desk - love it. I would use it to scrapbook with, it would help me get organized! The ribbon box would make putting the final touches on presents easier. 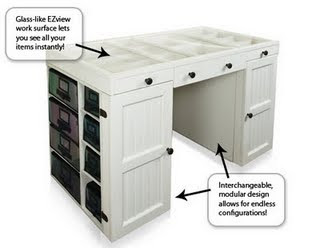 I love the ez view craft desk in black...or white. I would use it in my basement to organize my scrap stuff! I blogged about it !!!!! I facebooked the contest in my Notes. I just love the workbox! These products are in my dreams including the GIANT cutting board!! I love the EZ view desk in black! I'm a Facebook fan of Scrapbox! Love the minibox-Knotty Alder. I'd use it for storing my quilting supplies. Love the The Workbox : Vanilla Raised Panel. I would put in my living room. I have a tiny house and this would be perfect to store all of my craft supplies discretely. I love the ribbon box. That would help me keep my ribbons clean and organized. I would like the EZ view desk. I could use that in place of my craft room which has been taken over by my DD. Her room has been torn apart to try and fix a water problem. (problem: water comes in her room from outside). I love the original workbox.... It would be heaven! Esp since all my supplies and tools are at my mom's... no room at home and little kids get into everything! The EZ View is fabulous as well! I love the EZ View Craft Desk. It's perfect for keeping my supplies in sight but out of the hands of my toddlers. ... And I get your e-mail newsletters! I started out this adventure loving the ezdesk and I still do but the minibox is my second favorite. I love the workbox! The bigger the better - I have a lot of stuff - craft stuff, scrapbooking stuff, art supplies, sewing materials. I'm way too crafty! After much contemplation, my favorite product now HAS to be the EZ View Desk. I had been saying the EZ View Desktop, but the more I look at it and 'fan pictures' on Facebook, I have to have the whole desk. May take a little longer to save for it, but I know it will be worth it. Thanks for the chance to win.